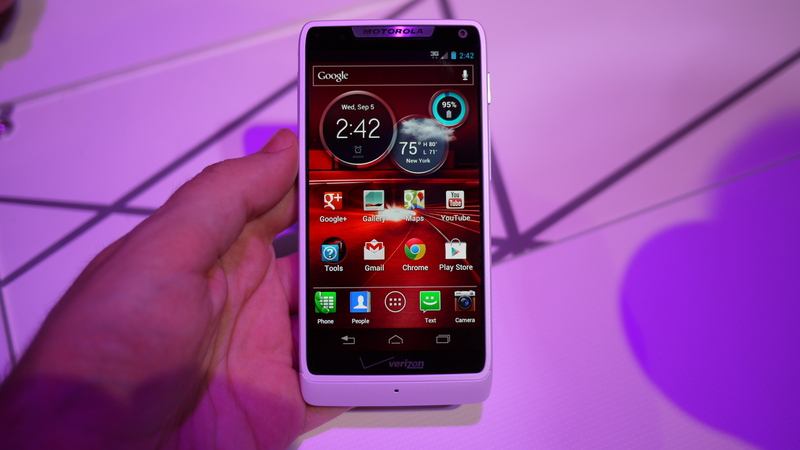 We’re here at the Motorola event in New York, and I just got my hands on the Droid Razr M, the “little big secret” that Motorola’s been amping up for. 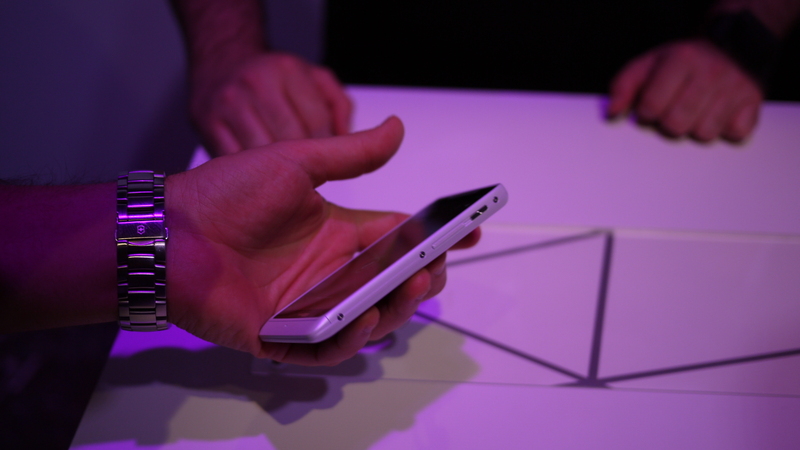 As you’d expect for a phone of this size, it feels excellent in the hand, with a 4.3-inch qHD display. As I’ve said over and over again, this screen size is the sweet spot. The most impressive thing about the Razr M is the way they managed to fit a relatively large display in such a small frame. 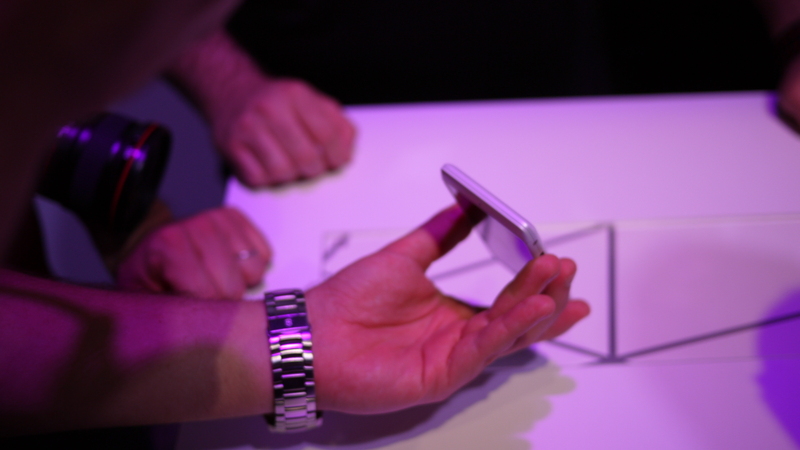 Because of this, the M ends up having some of the thinnest bezels I’ve ever seen on a smartphone. In terms of viewing video, web pages, and gaming, this is pretty sweet. However, during normal use, even for just a few seconds, I found myself accidentally touching the screen and launching apps when I didn’t mean to. For $99, this bothers me less, but I’d probably feel differently if I was a full-time owner of the device. Perhaps more interesting than any of this is that well-spec’d, 4.3-inch phones are now selling for mid-range prices. Moving on: The Razr M was just as snappy as you’d expect, powered by that 1.5GHz dual-core processor. 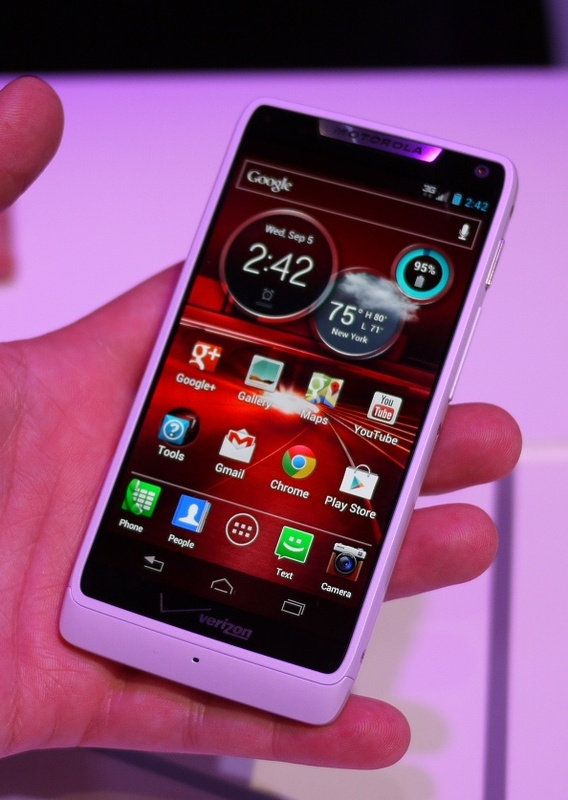 On the other hand, I’m seriously bummed about Motorola’s custom overlay. 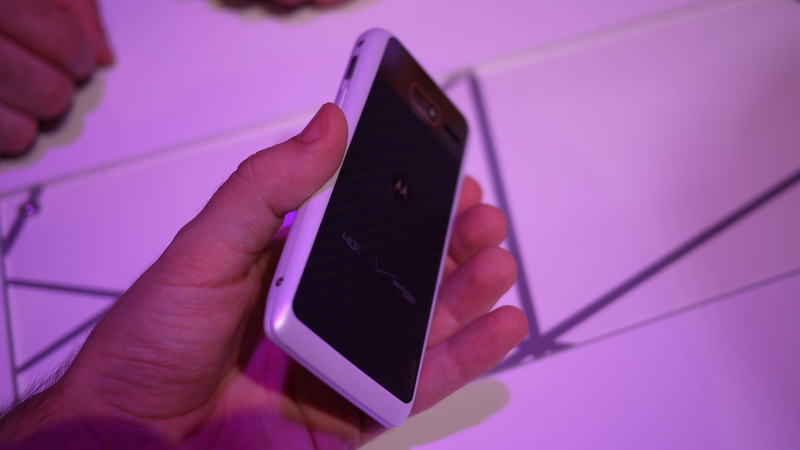 ICS runs like “butter,” ironically, but you can’t enjoy its aesthetic prowess with Moto’s skin laid over top. 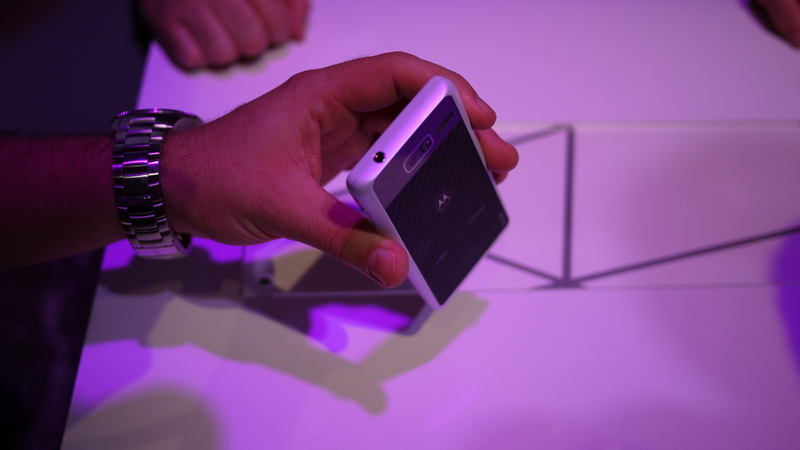 The 8-megapixel rear-facing camera shoots 1080p video, which is fine, but it isn’t quick like lightning by any means. The shutter takes a hot second to capture the picture, but that may also be blamed on the relatively slow autofocus. 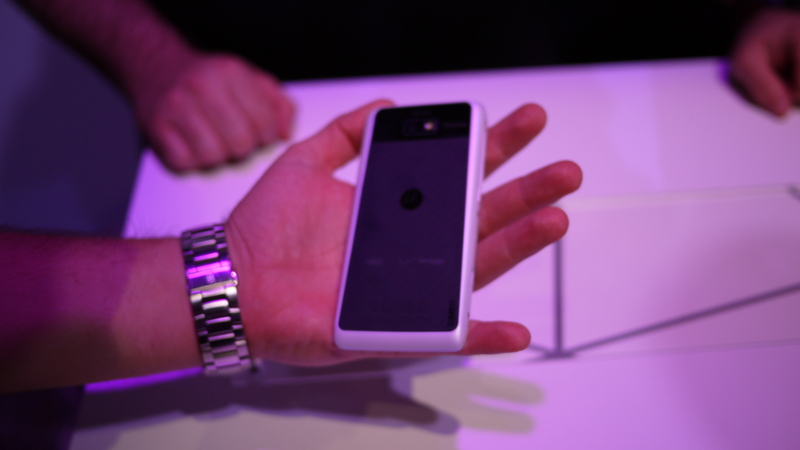 In other news, I love the design of this phone. 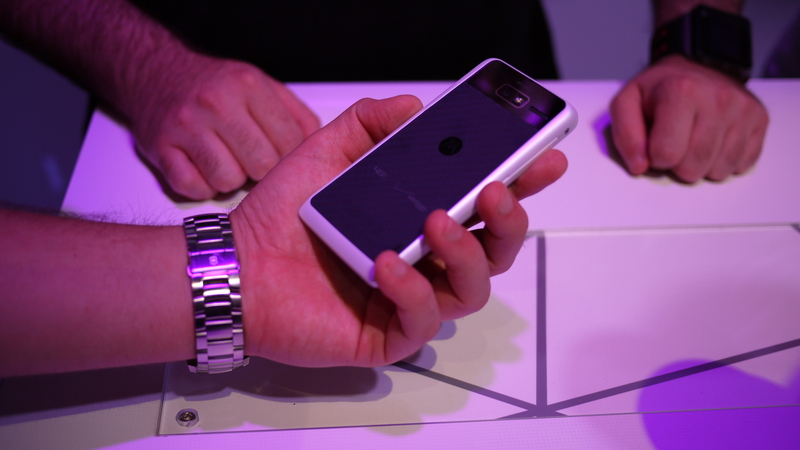 I already mentioned it’s comfortable in the hand, and much of that has to do with its tapered design. 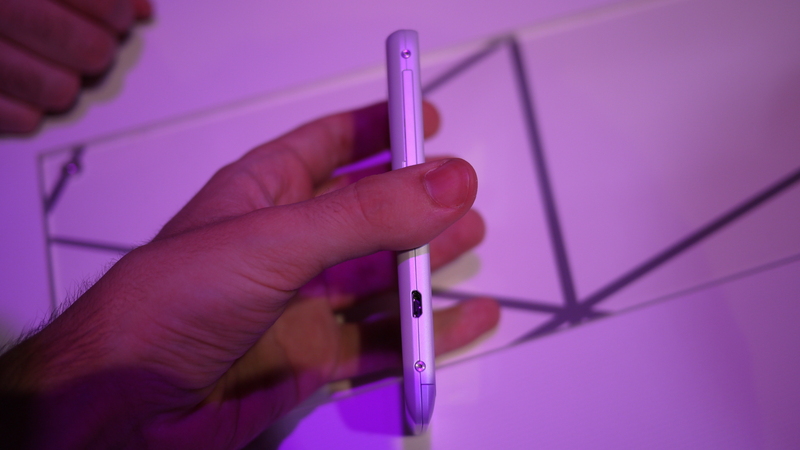 The phone gets increasingly thinner towards the bottom. 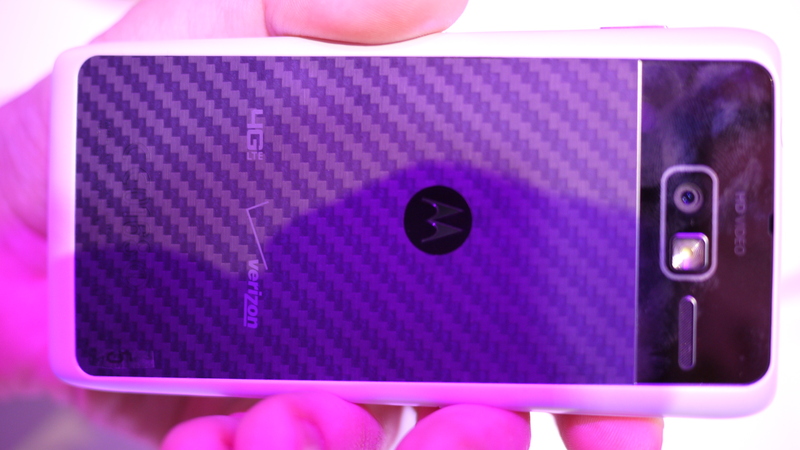 It sports the same Kevlar fiber casing as every other Razr, but the actual Kevlar fiber bit takes up a smaller part of the phone’s backside than it does on bigger, flatter Razrs. All in all, this is an excellent device, especially at its price point. We’ll hit you with a full review ASAP, as we’re all getting a device today. You can, too, if you’d like, as pre-orders begin today.